About a month ago, I had the great opportunity of interviewing Jill and Warren Schimpff of Schimpff's Confections in Jeffersonville, Indiana. Schimpff's Confections is a fourth-generation family-owned candy company that started in Jeffersonville in 1891. As you can imagine, Jill and Warren have many stories from their years of candy making and their family history in the business. To sum it up in a few words is challenging, because they have so much knowledge and history to share. Adjacent to their candy kitchen and shop, is a candy museum that they've created; free and open to the public. Featuring memorabilia from across the country and centuries, the candy museum seeks to remind people of their childhoods and capture the magical history of candy. Warren's favorite English Toffee, individually wrapped "Modjeskas", hard candy fish, drop roller cinnamon red hots, and Jill's favorite ribbon candy. One of the first things Jill and Warren told me is that they identify themselves as "preservationists" and set out with three goals: To preserve their family business, to preserve the community and to collect candy history. Taking over the family business in 1990, as the 4th generation had not been their initial intent. But when given the opportunity, they saw the great potential for their ownership in the business to shape the community that they loved. "By being an anchor here in town, it has helped the town to grow," Jill said. Beyond boosting the main street with their thriving confectionery, they are seeking to capture some of the local lore as well. The Modjeska, a caramel covered marshmallow is one of Schimpff's classics. Named after Polish actress Helena Modjeska, another local candy-maker named the sweet after her when she visited the area on tour in the late 1800s. While it's called a "caramello" anywhere else, the name Modjeska stuck locally and has been called that ever since in the Jeffersonville region. In case you haven't heard Helena Modjeska, Warren points out that she "was a very, very famous Polish actress... equivalent to Madonna." For Jill and Warren, "Keeping memories alive for the old folk, while making new memories for kids" is an important value and one that is evident the moment you walk into their shop. Many early candy-makers in the US dating back to the 1800s were immigrants who were looking to make a living with minimal investment. According to Jill, "with a stove, a copper pot, a stirrer, a table and a few ingredients, they could make candy to make a living." As German immigrants, Warren's relatives started Schimpff's so many years ago with this bootstrapping mentality that you could make a living with the simplicity of candy-making. Many of the early candy-makers were not trained in candy-making, but had moved to the US and sought employment. With a knack for cooking, they'd set-up shop on the sidewalk and crank out candies for customers walking by. While this isn't possible in quite the same way today, with stricter health regulations and restrictions, the idea still holds true that you don't have to be an expert to make candy. In fact, it's one of my favorite aspects of candy making! Because anyone can make candy, often times people know someone who does, and it creates a special connection between the candy, the candy maker and the recipient. And often times I've found, that these relationships are inter-generational, creating a connection where stories and memories are shared and made. "In the old days, you only made candies in the wintertime, because that's when your humidity was low" said Jill Schimpff. In the summer months, candy makers turned to soda fountains, with cool, refreshing sweet drinks instead. For my own business, I've thought about this a great deal, as people are quick to question why I don't make candy year-round. To me, it just makes sense - when there is such abundance of sweet fruits and fresh food, we hardly need a piece of candy to keep us going. At most, a cool drink and a scoop of ice cream will do. But when the cold winter rolls in and we return to our hearty cuisine of roots, grains and meats, it's a real treat to have a sweet piece of hard candy or a smooth and creamy caramel! Before Jill and Warren took over the business in 1990, it was being managed by Warren's cousin. While they had mastered many candy-making recipes and techniques, their family had a terrible time making caramel - "it was always soup" Warren recalled, "we ate it with a spoon!" While looking for a job, Jill and Warren met a woman from Sweden. In payment for a favor, she shared with them her family's recipe for caramel. It's been their go-to recipe since then. "All of our caramel products that we are making today uses that shared recipe," Warren recalled. It changed their candy making in the shop and it seems the memory of their chance encounter is a memory that won't soon leave the story of their caramel. Ultimately, "people are still looking for an experience... People are still in love with an experience and punching a number into a computer (to shop online) is not an experience, it's a way of getting something, but not a way of enjoying the effort," Jill says. 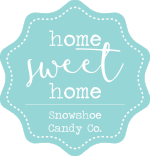 While I have had the great opportunity of connecting with many customers online, I do agree that there is a bit of extra magic involved in the experience of visiting a candy shop. I can say from my experience, that the magic of candy is ever present in the Schimpff's candy shop and it is an experience worth seeking! When I asked Jill and Warren what their favorite things about being candy-makers were, they were quick to remark that they loved the instant feedback: "When they say, 'Damn that's good', it's instant gratification. It makes you feel that you're really doing something," Warren declared. Jill added, one of her favorite things is that "the customers that you're dealing with are usually in good moods! Because they're getting candy! You don't get a bunch of grumpy people." "One of the most gratifying things too, is having a group of elementary school kids visit... you can't fool a little kid. They realize there's something special here," Warren says with a warmth in his tone. At the conclusion of my interview, I asked Jill and Warren if they thought they'd succeeded with their "preservationist" goals. With a resounding "YES! ", Jill and Warren made it quite clear that their little candy shop, filled with history, memories and sweets, had changed the landscape of Jeffersonville for better. Just a quite stroll down the main street, and it's evident. The cross-walks feature candy pieces, an homage to their impact, and the storefronts are filled with unique shops and restaurants, thriving in-part to the anchor store of Schimpff's Confections. As Jill and Warren move towards retirement, they are training the next generation of the Schimpff family. 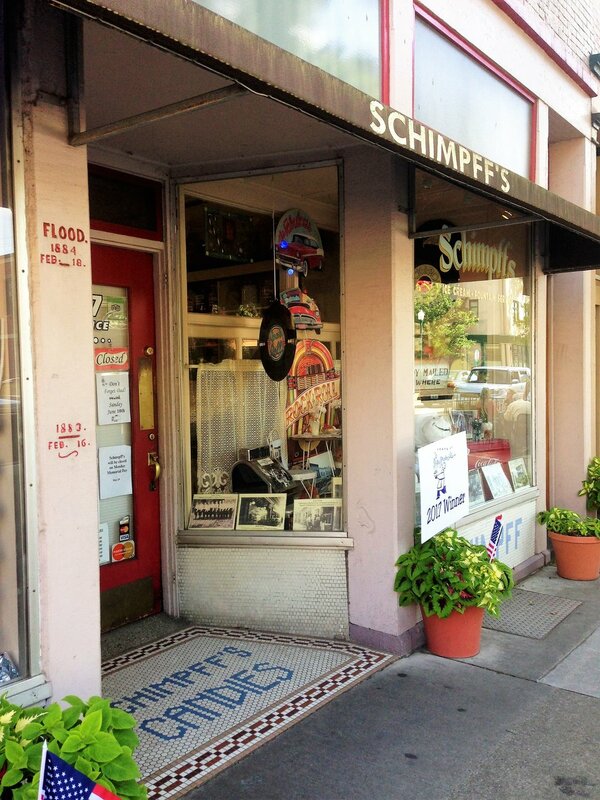 With a rich history and positive impact, the Schimpff's story is inspiring, and it's exciting to see where it goes next. As Jill so astutely points out, "you can't guarantee the future, but you can work hard towards it."